Common Threads, by Meg Saligman. Located at Broad and Spring Garden Streets. 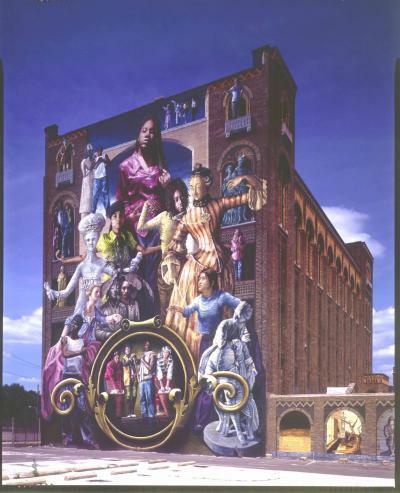 Towering eight stories high, this mural depicts a young girl in the center and the other figures in the composition are students from local Philadelphia high schools.